HSE Now, the safety e-magazine from SPE reports on our Updated Safety Trends Report highlighting the shifting upstream environment. Without a doubt, the unprecedented decline in oil prices has had a major effect on the safety issues and concerns of the upstream industry. The updated Upstream Safety Trends report dives deeply into safety issues, outlining the scope of the various challenges and, where possible or required, suggesting relevant solutions. “There’s a deluge of information out there, and it can get overwhelming for an industry professional who wants to know what’s happening. By distilling some of the best industry reports, we hope our readers will learn from the reports and the lessons they offer as much as we have,” says Dr. Elie Daher, Executive Vice President and Chief Marketing Officer of United Safety. This is the second year that United Safety has published the Safety Trends report, and it comes at a crucial time when the industry is undergoing tremendous changes. As a thought leader in safety for the Oil and Gas industry, United Safety commits to publishing this report on an annual basis to help prepare industry professionals for the changes that are coming. 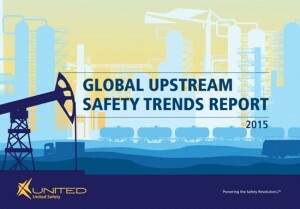 Read the full article here or download the Upstream Safety Trends Report here.